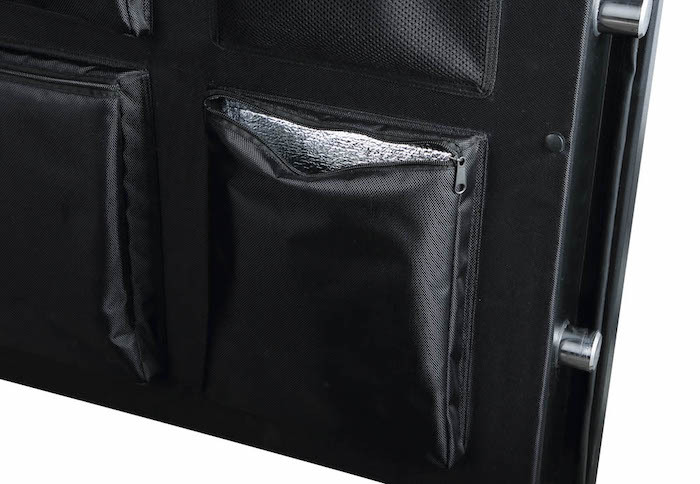 The Lieutenant 68 will hold up to 68 guns and has two gun racks. 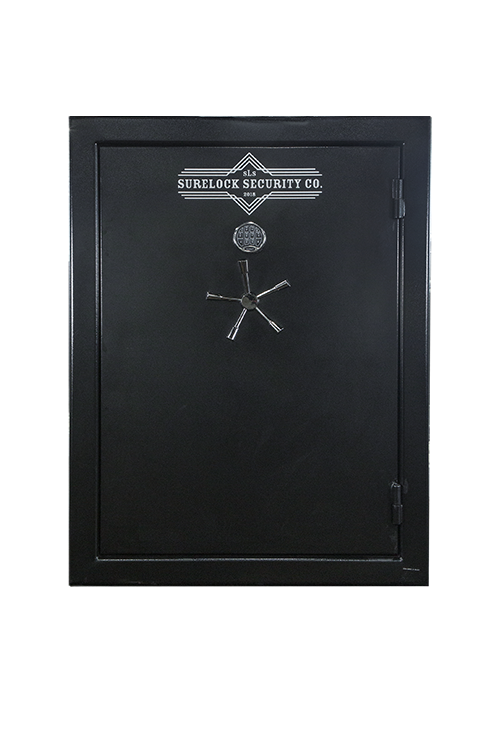 It is constructed of thick 11-gauge steel and has 12 locking bolts (8 active). 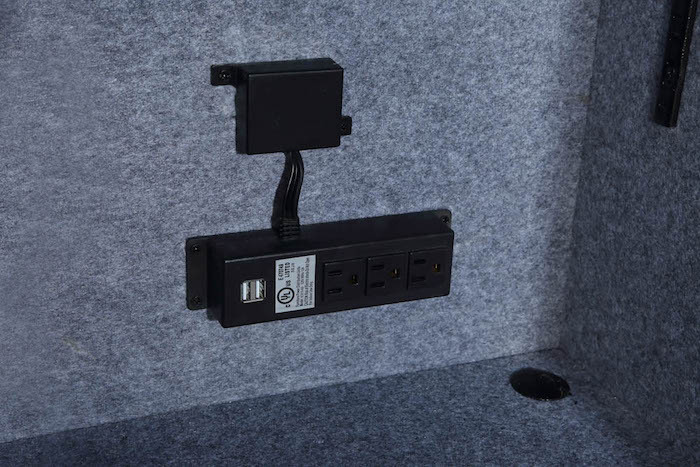 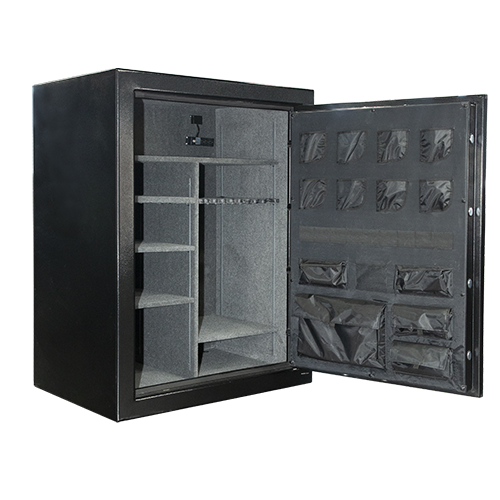 The Lieutenant 48 has a 3-shelf adjustable interior, that can also be removed for extra storage. 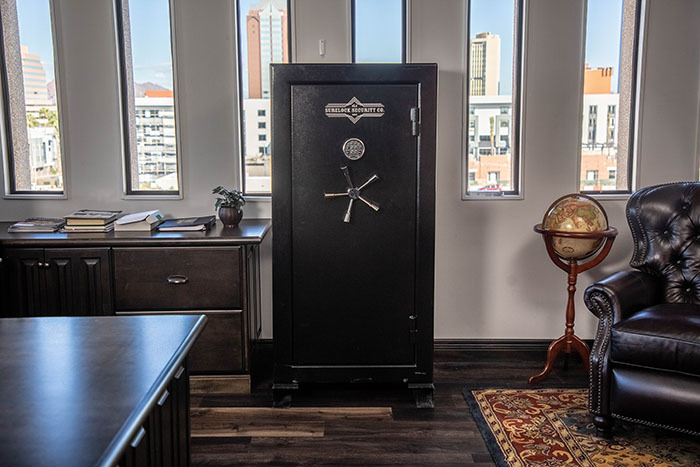 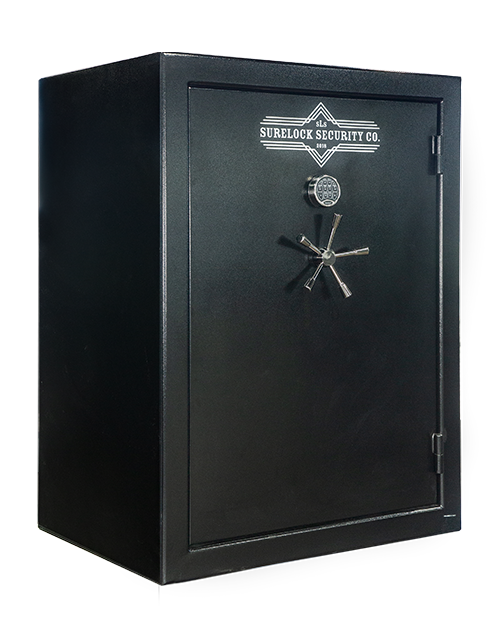 The SureLock Security Company Lieutenant Series Gun and Home Safes offer our widest selection of sizes. 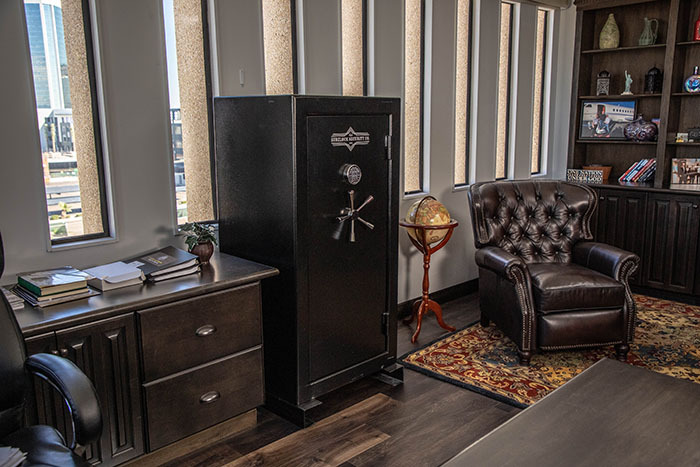 With options ranging from 25 to 68 gun capacity safes. 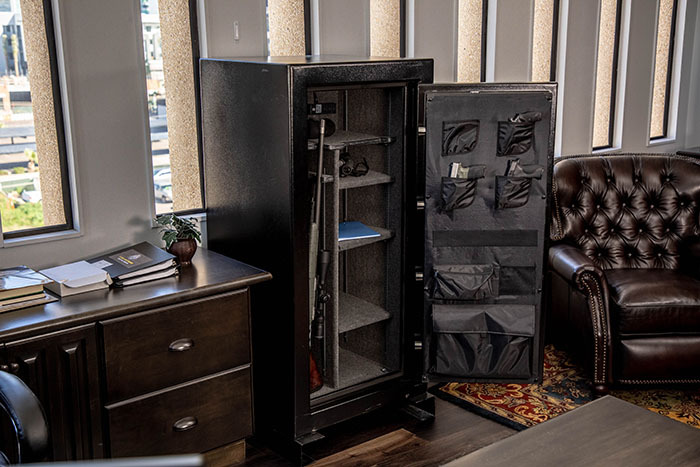 The Lieutenant Series comes with a matte black exterior finish, as well as a light grey interior that has a customizable gun rack and adjustable shelving. 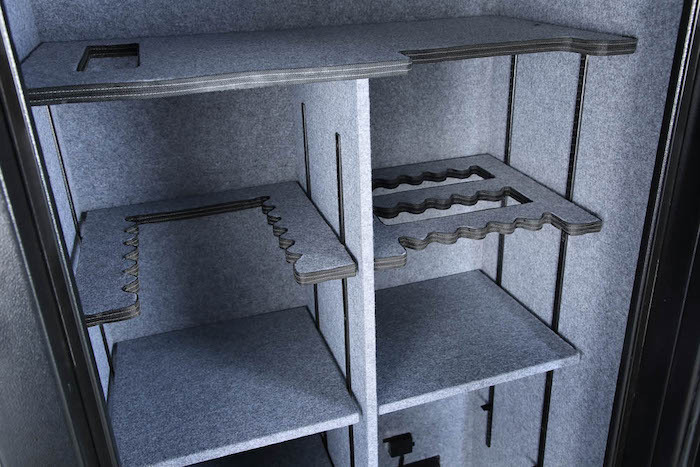 This Series also has a 60-minute fire rating, providing excellent protection should a fire occur. 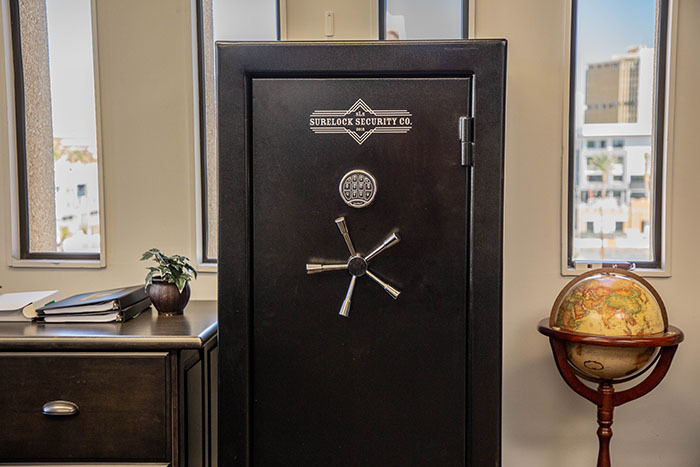 The exterior includes a black SafeLogic BackLit digital lock and five spoke handle. 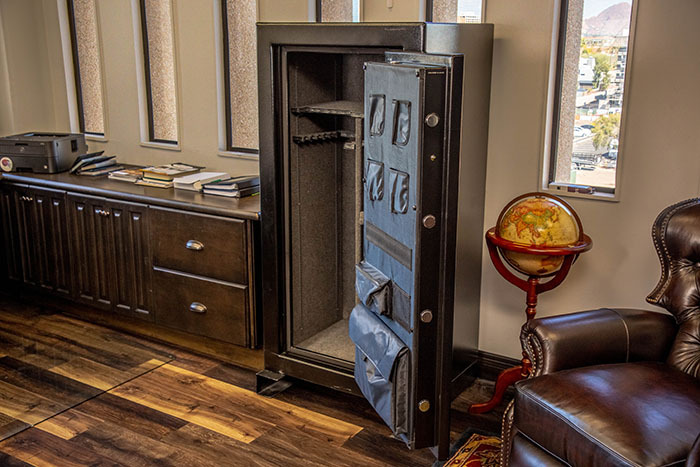 Be sure with SureLock, and protect what can’t be replaced. 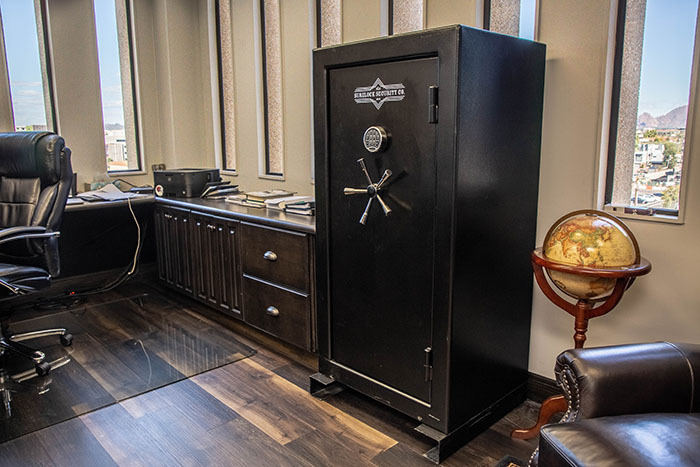 Backed by the SureLock Securities Lifetime Replacement Program, the Lieutenant Series Gun and Home Safe is the dependable choice to securely protect all your treasured possessions. 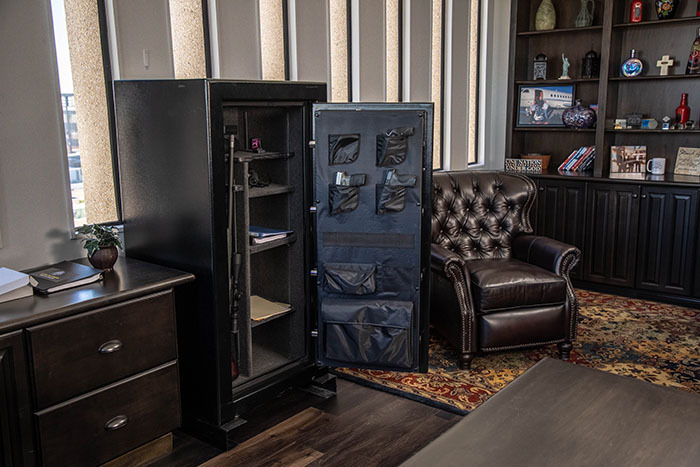 The Lieutenant Series Gun and Home Safes are ideal for gun owners no matter the number of firearms and valuables they want to protect.